An amazing newly restored country property approached via a tree lined private electric gated driveway to a central courtyard. This property could easily be divided into 2 or 3 houses or be extended to create further living space if desired. Events venue? 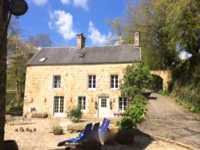 A rare find, south facing house that feels like its in the countryside yet is only 10 mins walk from the centre of Coutances. This fully renovated stone home has views across fields to the Cathedral and enough garden for a chickens and maybe a sheep or 2! 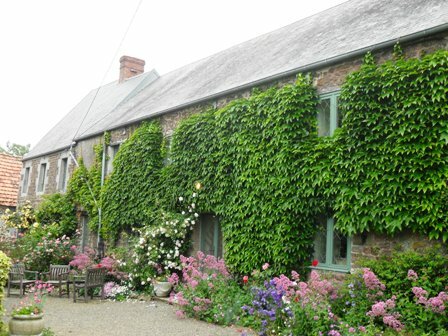 This is a rare opportunity to purchase a Hamlet comprising of 4 properties with a stocked carp lake and 3.5 hectares of woodland set in the heart of the Normandy countryside yet only 10 minutes from the vibrant cathedral town of Coutances. 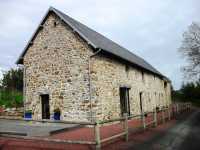 Located in a hamlet just 10 mins drive south of Coutances this 241m2 property is currently divided in two to provide a large 3 bed family home and a separate one bedroomed house ideal for relatives, visitors or maybe a holiday let.